Download M or XXL images, vector files and video clips whenever you want over the course of a month with our monthly packs! 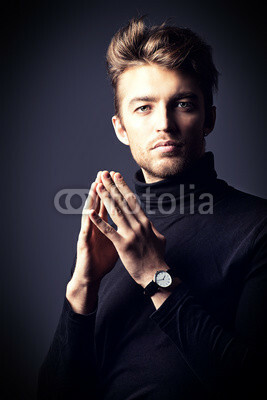 The photo "calm face" from Andrey Kiselev is available on Fotolia under a Royalty Free license from 2 credits (Credit from $0.74). Available in JPEG format, this photo may be downloaded for all kinds of professional uses and in different resolutions (up to 3,938 x 5,900 pixels in 300 DPI). The author of this picture, Andrey Kiselev also has 458 images representing the same model and 4,684 images in the same series. To download this photo, you can buy Fotolia credits or purchase a subscription plan and benefit from the amazing price of $0.19 per image. See all the 458 photos, vector illustrations, and videos that feature this model. See all 4,684 photos, vector illustrations, and videos from this series of images. See below some photos, vector illustrations, and video clips related to this creative content.